Desi Times – Live Desi! Browse Desi! The exciting motion poster of ‘Dolly Ki Doli‘ raises our expectation from Arbaaz Khan. This man is likely to capture the minds being a spectacular filmmaker. 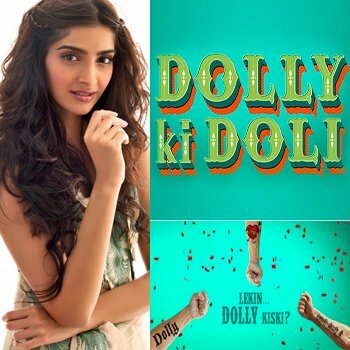 ‘Dolly Ki Doli‘ is all set to release next year in February. Australian cricketer Philip Hughes was hit by a delivery ball from bowler Sean Abbott during a domestic at Sydney on Tuesday, November 25. Two days battling with the life, today he was declared dead by the doctors at St. Vincent’s Hospital, Australia. His accidental death has set everyone across the globe in shock. Arjun Kapoor: That’s how fickle life is… RIP Phil Hughes… and my heart goes out to @seanabbott77. They were just playing cricket at the end of the day. Nimrat Kaur: Terrible to hear about such an untimely death. Phil Hughes departs reminding us all of the fragility of life and to just live every moment. Aftab Shivdasani: Very very sad news of Australian cricketer Phil Hughes passing away. Prayers and condolences to his family. Sad day for cricket. RIP. Purab Kohli: RIP Phil Hughes. His demise is a huge loss for cricket. It’s unimaginable how his family, his team mates and Sean Abbott must be feeling. Punit Malhotra: The Phil Hughes news is just heartbreaking. All said and done they were only playing a sport. Arbaaz Khan: Extremely saddened by the news that Australian cricketer Phil Hughes passes away after being struck by a bouncer. RIP Phil Hughes. Karan Johar: No age to go… thoughts and prayers with the family… this is just too sad…#RIPPhilHuges. Farhan Akhtar: Phil Hughes Rest in Peace. Sean Abbott Live in Peace. Get ready to experience the hilarious-caper of ‘Nonsense’, which will get the two comedian-actors Sharman Joshi and Vir Das together on board, along with the beautiful actress Zarine Khan. ‘Nonsense’ claims to be Bollywood’s one of the most hilarious film as it has got Harsh Limbachiya and Ashwin Shetty to shape it up. Where, Harsh holds a profile of penning TV show ‘Comedy Circus’, will be scripting the screenplay and dialogues of ‘Nonsense’. While, producer Bhushan Kumar has hired Ashwin to direct the film, after seeing the noteworthy work in numerous TV commercials. Zarine will be playing a journalist, while Sharman and Vir will be seen as NGO workers who unite warring families in ‘Nonsense’. It seems filmmaker Sanjay Gupta is ready to give Aishwarya Rai Bachchan a bigger comeback. 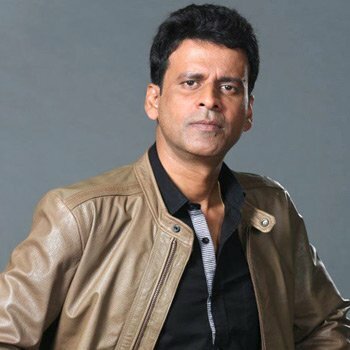 After hiring prominent personalities like Irrfan Khan and Shabana Azmi to star in his upcoming film ‘Jazbaa‘, he is now in talks with Manoj Bajpai to join the team. Sanjay has offered a gangster role to Manoj in ‘Jazbaa‘, whose character is not the long one, but an important one in the film. As per the reports, Manoj is likely to give his nod to this venture as he has liked the script and doesn’t mind doing a small role as it’s a qualitative one. Manoj holds an experience in playing a villainy role. Earlier, he has won millions of hearts playing a goon in ‘Gangs Of Wasseypur‘. Therefore, it will be easier for him to get into the wicked skin. What is real name of Pakistani comedian Iftikhar Thakur? Please navigate to Appearance → Widgets in your WordPress dashboard and add some widgets into the Home 6 - 1/3 Width widget area.